How can I join the Gözen Air Services team? 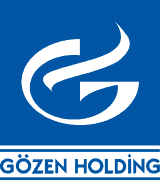 As Gözen Air Services, we are looking for proactive team looking to drive difference who meets our corporate values as well. Candidates that suit job description will undergo personal, vocational and foreign language placement tests in line with the job qualification. Candidates, who have been found appropriate with related tests, are interviewed based on its competencies with HR and the related division executives to evaluate their eligibility. Candidates who have been found appropriate at the end of all above-mentioned evaluations are checked for their references and invited to start their job.